As Dragon Ball GT begins, let’s take a look at this version of the character and where he’s at. This is a Goku who is about 10 years older than the one we see in Dragon Ball Super. Not only that, we only see him as an adult for mere moment before being turned into a child again by the Black Star Dragon Balls. So it could be reasonable to assume that this Goku might be a little more mature than the Goku we know, maybe he’s mellowed out, or maybe his regression to a child has affected his mind somehow. You might be wondering what point I’m trying to make here. Well throughout these first 16 episodes of GT, Goku is hardly present. I mean, sure, he is physically on screen, but of the gang, Goku does and says the least. Literally only contributing to events when there is a tough enemy to fight. Which is more of a typical Goku move, but it ends up being a lot more reactionary than the character has been known for based on his history. During his time searching for the Dragon Balls with Trunks and Pan, he doesn’t have the drive, nor the passion for battle that has been his character defining trait since Dragon Ball’s inception. At times it feels like Trunks is filling the role of the main character. He is the more vocal, the most competent and most personable of the gang. It’s only when things start to get hairy do we see just how weak Trunks has become and that Goku needs to clean up the mess. It begs the question of what Toei’s goals for Goku were in this series, or if they actively chose to distance themselves from Toriyama’s knack for bucking character conventions. 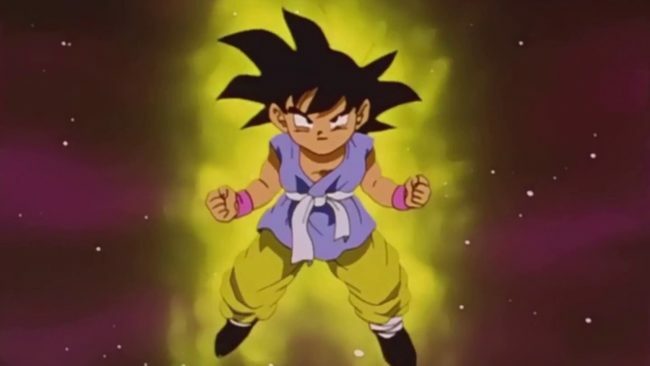 They arbitrarily do things like revert him into his child body, and take away his instant transmission, but he can still use his Super Saiyan forms. I know arbitrarily introducing rules and limitations is nothing new for the series, but it’s just adds to my confusion. The Goku of Gt feels like one with nothing left to prove. His most common contributions to episodes are complaining about being hungry. Making him feel all the more like a generic shonen protagonist. In short, he feels out of character. As an example, lets look at the first strong opponent the gang come across, the Ferengi looking fighter: Ledgic. This guy checks the boxes of a typical Dragon Ball rival, he’s a guy who starts out as a villain but eventually becomes a good guy once defeated. Because he’s a fighter, and find’s Goku’s love of fighting infectious. It’s standrard Dragon Ball formula. What isn’t the usual formula is, when this guy shows up on the scene, Goku barely seems interested. Sure, he fights and defeats Ledgic with relative ease, but the giddy joy to fight just isn’t there. For a recent point of comparison, look at when Goku first met Zamasu in Dragon Ball Super. He was itching to fight the guy he heard about so much, he rushed up to him as soon as he spotted him. Ultimately, he defeats Zamasu with only a fraction of his power, but seemed happy and was eager to fight him again all the same. 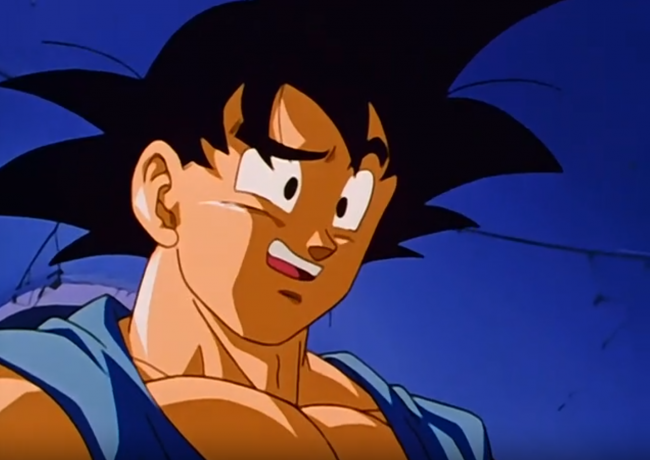 That same excitement and childlike glee is, ironically, absent from GT’s Goku. We don’t seem him train himself once during his time on the ship, something he is usually itching to do at all times. He doesn’t seem interested in fighting the big Whiscash looking monster that’s terrorising a town on a planet they visit. It shouldn’t matter that Goku hasn’t met an opponent that he hasn’t easily beaten using only Super Saiyan 1, if there’s any dudes out in space to fight. Then that’s what Goku wants to do, even at the expense of finding the Black Star Dragon Balls. As the show starts to move into more familiar territory, maybe the Goku of old will return. Right now though, maybe leaving Goku out of events entirely might not have been the worst idea. Allowing these new characters to have a little more agency and not just make Goku a vector for solving a problem with violence. Tomorrow I’m, digging into GT’s animation and fight choreography, something I have been more impressed with. 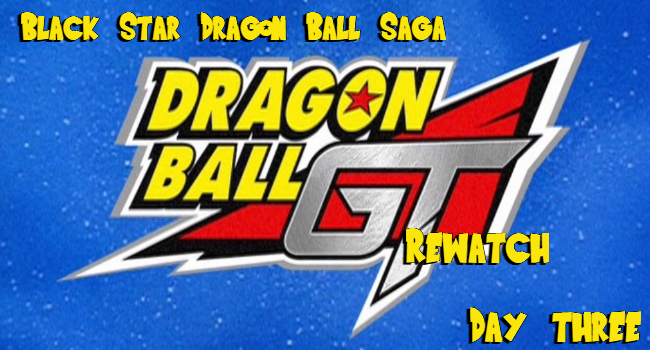 Posted on November 28, 2018 November 27, 2018 by WooderonPosted in Anime, Looking Back At:Tagged dragon ball, dragon ball gt, dragon ball super, goku, rewatch, super saiyan.